Also known as Fluke, Flounder has brownish green skin with faint red spots on the dark side, and is a bright white on the blind side. They are a similar shape to Halibut (though that’s where the similarities end! ), and range in size from 350g - 900g. Dabs tend to be smaller, and are rarely caught bigger than 680g. 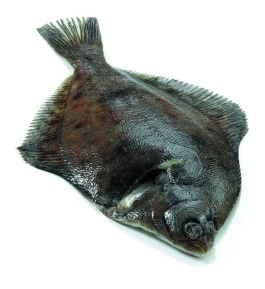 At their best, both dab and flounder are similar in flavour and texture to Plaice, and can be a good buy.